This time last year I had just returned from spending two weeks in London. It was the first and only time I have ever traveled by myself. London was a city I had always wanted to get to know, so when I saw a really cheap flight (shoutout to The Flight Deal! ), I just bought the ticket. I got on that plane without the intention of meeting anyone in particular. I had no friends in London, just a few folks who were friends of friends. The prospect of traveling solo seemed freeing and centering, but after a week I found myself feeling just horribly lonely. I felt disappointed by this onset of loneliness. I wanted to be ok by myself and feel content with my own company, but I was simply longing for someone to talk to and laugh with. On the the 10th day of my trip I was at a real low point. After going to the Victoria & Albert Museum, I was wandering around the neighborhood and entered a bookshop. I knew part of my loneliness was due to the lack of a good book, a necessary traveling companion. 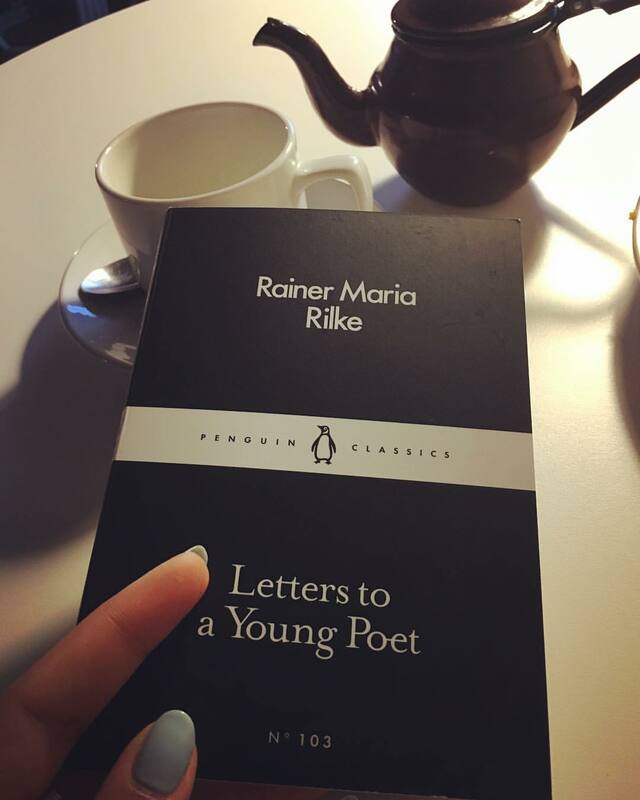 I picked up 3 books that day, one of which was “Letters to A Young Poet” by Ranier Maria Rilke. I sat in a coffee shop and began to read. The next day, as I read more & more, I realized that on the day I felt most alone, the universe had led me to a piece of literature all about the importance of solitude. How it brings one closer to oneself. How love is impossible without knowledge of self, which can only come through solitude. How critical solitude is to an artist and her art. The last 2 days of my trip, I began to savor my solitude, truly cherishing it as I knew it would soon be coming to an end. I felt blessed to get such a crucial insight and reminder as to how I can view my life and understand it, and how I can direct my energy and emotions. My last day in London I sat in Hyde Park in the sun, watching the swans float by and the people walking and interacting, and I felt the beauty of that moment and the power of my own spirit. I sat there, in solitude, and wrote a song that will be on my new album.